mwe3: Not much is known about the country of Estonia, at least in the US. Could you tell us where youre from in Estonia and what makes Estonia such a special place for music? Indrek Patte: First of all I want to thank you! Im glad to give this interview to mwe3. I was born in Antsla, a small town in southern Estonia. After graduating high school I went on to university, since then I live in Tallinn. Estonia is a little country, but its a great place to live and make the music. There is beautiful nature and friendly, kind people. We have long traditions of song festivals for 150 years, well-known choirs and directors like Neeme Järvi, also composers like Arvo Pärt. The good news is that Estonian music, including Estonian progressive rock music keeps spreading more and more, day by day all over the world. Its a joy to share our culture and music with people in other countries, its riches include a world of music that keeps people happy. mwe3: What kind of music did you grow up listening to and who were your favorite artists as you were growing up? I was reading that the YES album, Close To The Edge made a big impression on you when you were just seven. When did rock music finally open up and take hold in Estonia? As I recall that the country was under communist rule for a while. it is still one of my favourite albums. In the 70s, besides YES, a lot of wonderful progressive rock music was composed and many fantastic bands were recording, such as Genesis, Gentle Giant, ELP etc., to mention some of the groups I used to listen to back then. At those times rock music in Estonia took its first steps. In the 1960s there were mostly bands that were inspired by the music of The Beatles. 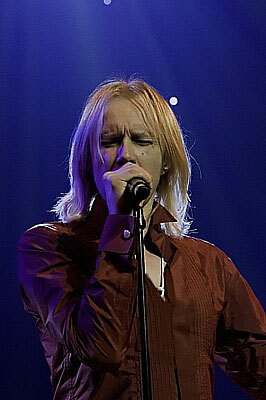 The first rock bands in Estonia were formed at the beginning of 1970s. The most well known among them was Ruja. In the 1980s there were about twenty Estonian rock bands who toured in the Soviet Union. In 1987, when I was a singer in Ruja, I had a great experience of touring with the rock band. Sometimes we gave two concerts in a day. I think that Estonian rock music finally opened up in the beginning of the 1990s, after the singing revolution, when some Estonian bands started touring in West Europe and America. mwe3: What is your background in music? Did you go through formal training and musical studies in schools or are you self taught? Indrek Patte: I am very lucky that in my childhood I was encouraged to be creative. My parents loved music and sang in choirs. Since we had the piano at home I started practising by myself, so Im self taught. At the age of 15 I started to play keyboards in a local band. That was like a miracle and was so exiting for me. At the same time I wrote my first songs. Though I can read and write notes, I much more prefer to make music naturally. The creation is a counterpart of my life. mwe3: How popular is rock and progressive rock in Estonia these days? When did Estonia become a hot area of progressive rock activity? Indrek Patte: Unfortunately, progressive rock is not very widespread in Estonia although there have been positive developments in that regard in the recent years. It is mostly the progressive metal bands that are dominating the scene here, with some neo-prog and ethno-prog bands. Recently, Estonian guitarists Toomas Vanem and Kalle Vilpuu have gained an international attention with their solo projects. There is a quite well known prog band called X-panda and a very original guitarist, named Robert Jürjendal, who just released his second solo album. 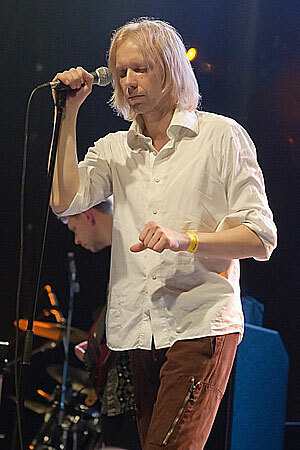 I like some Estonian progressive rock bands from the 70s like Ruja, Sven Grünbergs group Mess and In Spe, which was led by Erkki-Sven Tüür, who is now a famous academic composer. There are many capable musicians in Estonia, who participate in various projects and could make interesting music, but theres no output, because the audience is too small and we have only few rock clubs. mwe3: What was your musical mission or goal with your latest CD, Thank And Share and how would you compare it sound wise and musical with your earlier album release Celebration? How has your music progressed or changed over the years? What are some of your proudest moments as a recording artist? Indrek Patte: My musical mission is just to make the music that I like and be happy when it touches somebody. In the spiritual concept, what that means to me is spreading the message of love and salvation. Years ago the lyrics werent so important for me, but since that point I have progressed and now I write lyrics that carry the message and mean something to me. Comparing my two albums, I can say that the material for Celebration has been accumulated over many years and it became a unified whole in 2010, when I wrote the musical arrangements. Thank And Share includes the music that was created during a 3 year (2011-2014), except The Servant Soul. If Celebration sounds more like classic symphonic prog of 70s, then Thank And Share sounds more like a modern neoprog. As a recording artist, I have released 9 albums with various bands and projects, but my solo albums are the most precious to me. mwe3: What instruments do you play on the Thank And Share album and what are your favorite instruments that you use to compose music? Keyboards are obviously your forte but how about guitars and other instruments? Indrek Patte: The main instruments that I use to compose music, are keyboards, 12 string and acoustic guitars, the ones I play also on Thank And Share, in addition a mandolin on one track and the drum composing, also I sing all vocal parts on the album. Though I can play little an electric guitar as well as a bass guitar, it is easier for me to record the demo versions for these instruments on the synthesizer. I get a lot of help from the computer and virtual instruments to compose my music. New ideas may come every time and in different places: at home, on the street and so on. For storing them, I use my mobile phone recorder. When the instrument is ready at hand I play and record, if not, then I sing to store the ideas. Years ago I used to write notes on the paper, now high tech has made it all much easier. they help me on focusing to do right things and decisions in my life. I became a Christian over ten years ago and I have to say that since then I found peace in my heart. Every day surprises me with the wonders of God, who is a source of inspiration to make the music. He is the creator of everything. During a lifetime a man gathers good deeds and mistakes, after turning into eternity, the soul has the baggage to reach the deserved place. Fortunately Jesus has paid for our mistakes, so we can reach home, the best place for us. The lyrics on both of my albums convey a spiritual message. For me Celebration is, indeed, a concept album, portraying mans spiritual journey from resurrection to celebration in the Christian sense. On the whole, it means the celebration of the coming of the kingdom of heaven. Thank And Share continues with the message to glorify and worship God, thanks to whom human beings have the opportunity to share love in this earthly space and time. mwe3: How did you choose and then put together the band you feature on the Thank And Share CD? Its very impressive that there are so many talented Estonian musicians such as guitarist Kalle Vilpuu who also plays guitar on the Thank And Share CD. Did you pick and choose the crew on Thank And Share from the best and brightest musicians in Estonia? plus, they all are also very interesting composers. On bass guitar on the album is Vladislav Reinfeld, who was my band mate in Ruja. 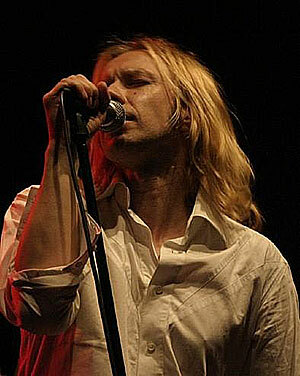 He is a great multi-instrumentalist and composer. Hopefully he will release his interesting solo album next year. Certainly I have to mention an excellent drummer Andrus Lillepea, who plays in several prog projects. Linnu Tee drummer Jüri Masurtshak plays on The Servant Soul, and his very talented son Oliver Masurtshak plays guitar in my live band. Classically trained Soon brothers are also very talented and can play many different instruments. Im very blessed having such a great crew! mwe3: I was discussing this with two Estonian guitarists, Kalle Vilpuu and Toomas Vanem, who both told me they were influenced by Finnish composer Pekka Pohjola who worked with Wigwam and Mike Oldfield back in the 1970s. Was Pohjola an influence on you and would you say, Finnish music is / was an influence on other Estonian jazz-rock musicians? I cant imagine a progressive rock music without them. They have influenced most of todays prog rock musicians. mwe3: Tell us something about your studio work and productions with other artists in Estonia and also about your film soundtrack composing career and how would you compare that with your work as a progressive rock artist? Indrek Patte: I have worked as a sound engineer and producer in a audio recording studio called Matrix Studios in Tallinn for over 30 years. During this time I recorded, mixed and produced approximately 200 CDs by well-known and lesser known Estonian singers and ensembles. 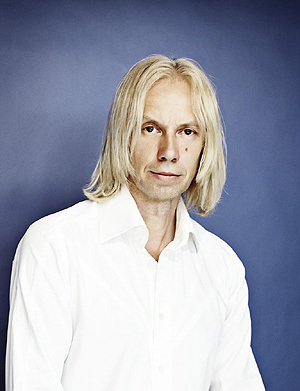 In 1996, I was awarded the Estonian cultural prize Suur Vanker for best sound engineer and arranger. In the 1990s I had a chance to compose film soundtrack music for several films. That was new and refreshing and offered a variety of experiences. It was very exciting to express the emotions in film with music while designing various soundscapes. I have recorded and mixed a wide range of styles from folk, jazz and rock to classical music etc., but progressive rock has remained my favorite one. When you work in the studio with different styles, it is hard to reorient and focus on the next one. You just cant do everything. In last years I have taken more time for my own music, because so much is still undone. mwe3: What do you think of the increased popularity of progressive rock all around the planet? That immense popularity of this early genre must give you some hope as the world connects through the magic of music. Indrek Patte: Progressive rock music is a great medium for my generation. I think it is like a good art or wine that gets better year by year. Recently, there have been many signs that among the new generation we can notice a growth of interest towards prog. Many new and original bands have been founded and the mastery of the musicians playing their instruments is on a very high level. Progressive rock is the music that carries a high intellect and a genuine emotion, as well as good and a positive, timeless message that magically connects to its audience. Though there were the short periods of time when progressive rock was not doing very well, I believe and hope that it has a bright future, because its made with love and it withstands the test of time like a classical academic music has done. mwe3: Now that youve made a kind of international breakthrough with Thank And Share, what are you planning next as we approach 2016 and beyond? Are you planning new writing, recordings, productions and possible live shows in 2016 and beyond? Indrek Patte: It is wonderful that Thank And Share has earned a lot of international attention and positive feedback from fans of progressive rock over the world. I am very happy and thankful for that. Actually, I like composing more... the creative process and studio work rather than giving concerts, but sometimes it is necessary to keep in contact with the audience and give live shows. After all, creation is a gift from God and it is good to share it with others. At the moment Im having a lot of fresh ideas. Im working on new material, but it is hard to say when it will be finished. Being a vocalist in some other bands as well as Linnu Tee, Led R and being a producer in a recording studio it is sometimes tricky to find time for all the different projects, but I hope that we will have some concerts with my solo project in the next year and maybe even outside of Estonia as well.